DUE TO RAIN, THIS EVENT HAS BEEN MOVED INDOORS TO THE COURTYARD BY MARRIOTT (101 Washington Ave.) WITH HOURS OF 3-6 PM. 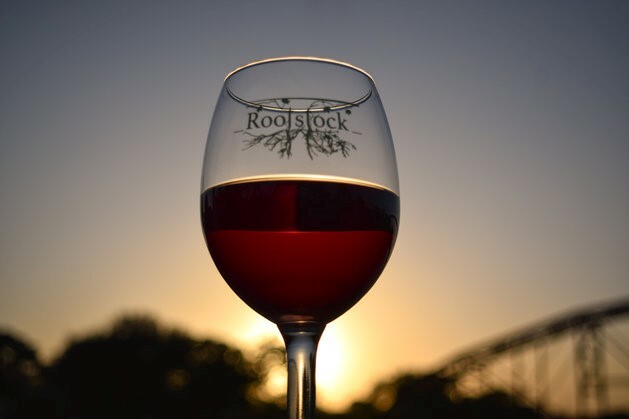 Featuring 15 of the finest Texas wineries, Rootstock is an annual festival celebrating the Best of the Texas wine industry. We connect wine enthusiasts with the finest wines grown and produced here in the Lone Star State. Each wine at our festival is a genuinely local product, reflecting the pinnacle of regional character and quality. Also featuring local chefs, live music, lawn games, and good times. Every ticket includes entry to the wine festival, 12 wine tastings, and a Rootstock wine glass. VIP tickets available also.